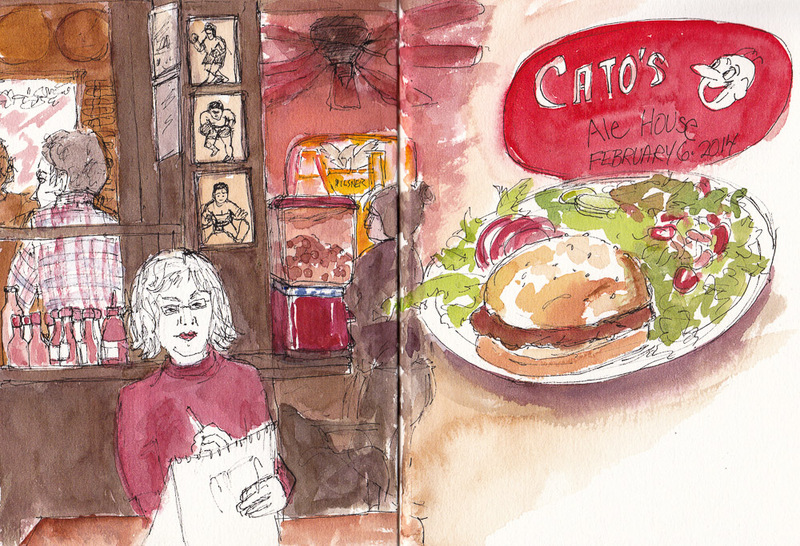 I used a Pentel Tradio Pulaman Fountain Pen for drawing at Picante Mexican restaurant. I love this pen with its smooth chisel tip. Since it isn’t waterproof I could add washes of water to make the gray areas. But Picante is such a colorful place I had to add a little color too. 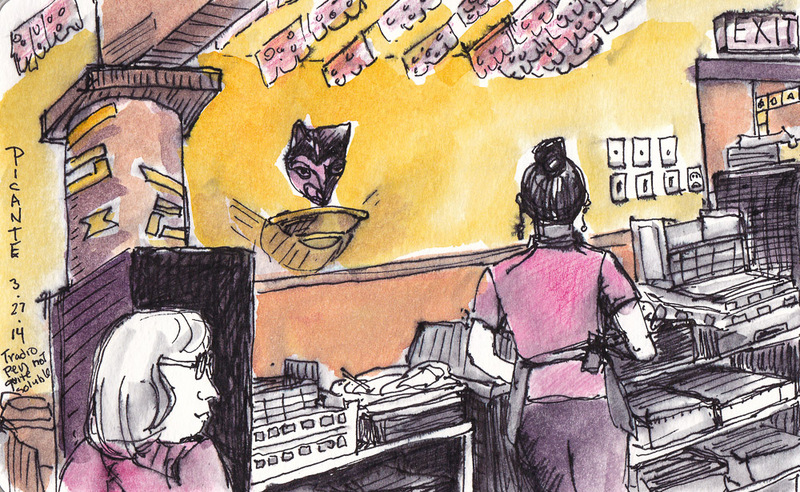 I ordered delicious fish tacos but was too hungry to draw them. I am happy to say that the excellent new book Urban Sketching: The Complete Guide to Techniques by Thomas Thorspecken, includes this “Urban Animals” page (above) featuring my sketches of cats. When the publisher contacted me to request the use of the images, I was delighted. I was even happier when they sent my complimentary copies of the book and I saw all the really useful information and wonderful sketches it contains. 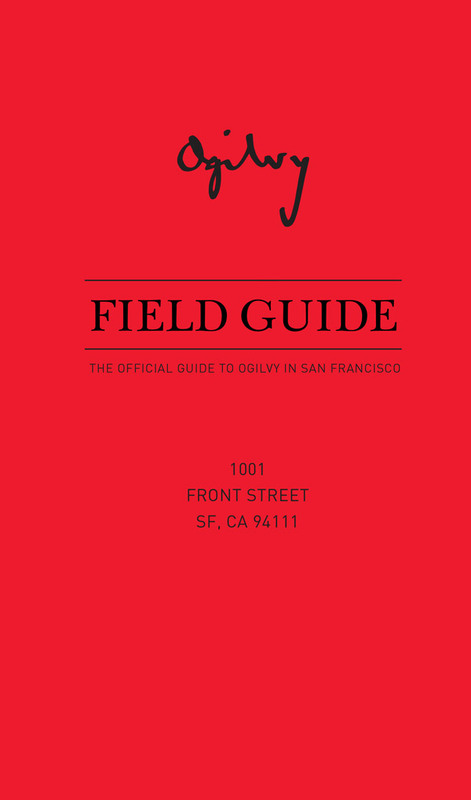 Then I got an email from an art director from the San Francisco office of the national advertising agency, Ogilvy. They were moving and she was designing a “Field Guide” to the new SF neighborhood for their employees. When searching for sketches of the area she found mine, and as she looked through my blog she found sketches to illustrate most of the pages in the guide. Historic Ships (and partial map from facing page). This one was actually drawn from a model in a case at a seafood restaurant! In the end, they licensed 18 of my sketches for use in the printed field guide. Above are a few of the pages, brilliantly composed by the art director. I am honored to be working on a commissioned large watercolor painting for a couple who live in Europe now, but were married in a lovely building in a Bay Area park. The wife wants to give her husband the painting for their anniversary. I visited the venue and took photos and we agreed on a composition. The painting is underway and so far is going well, but because it is large and has many details, it is keeping me very busy (and happy) in the studio.